If you’re looking for the details of this monthly series you can check out the introduction post. Let’s take a quick break from the Sew-a-bration of Womanhood and do a Monthly MashUp! The weather is finally warm around here so I wanted to do a sleeveless summer dress for Bean this month. I’ve had this MashUp in my head since last year and I love how it turned out. 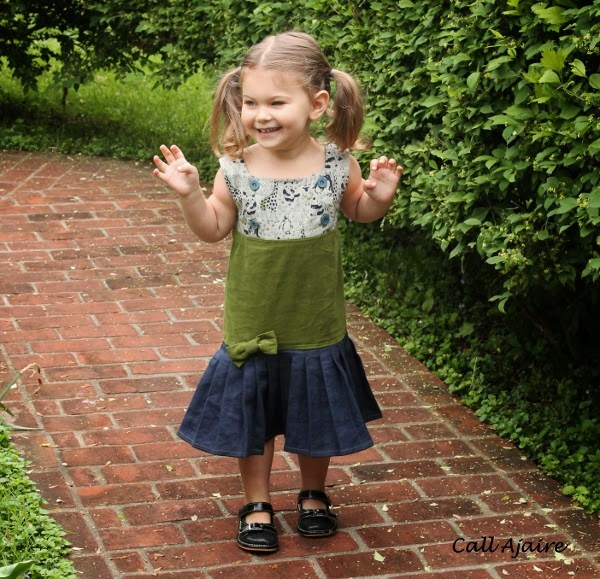 The Junebug Dress from Craftiness Is Not Optional and the Betty Skirt from the Shaffer Sisters combine to make an adorable drop-waisted summer dress. 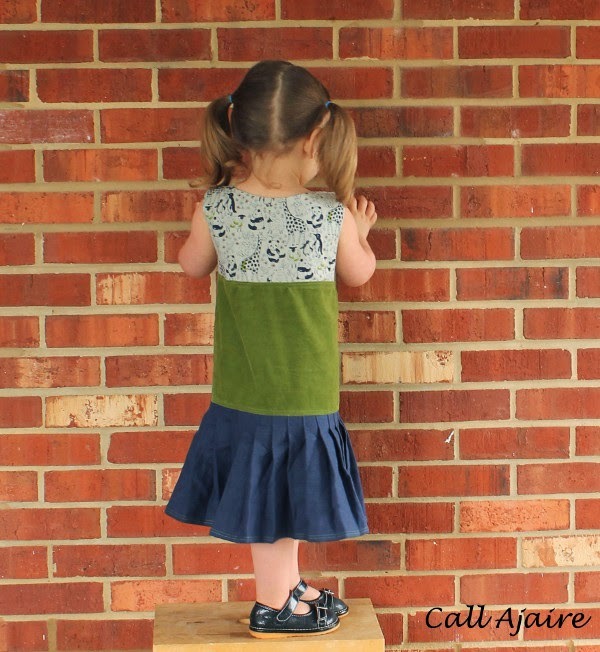 CINO’s Junebug Dress is one of my favorite little girl patterns. The vintage sailor dress details meets modern simplicity is a perfect representation of Jess’ style. 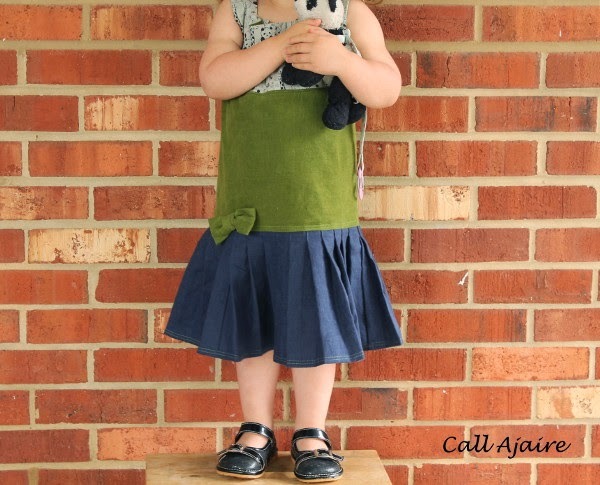 This was her first official pattern released for sale, but Craftiness Is Not Optional’s tutorial page is my favorite place to find free detailed tutorials to make adorable clothes for my girl. 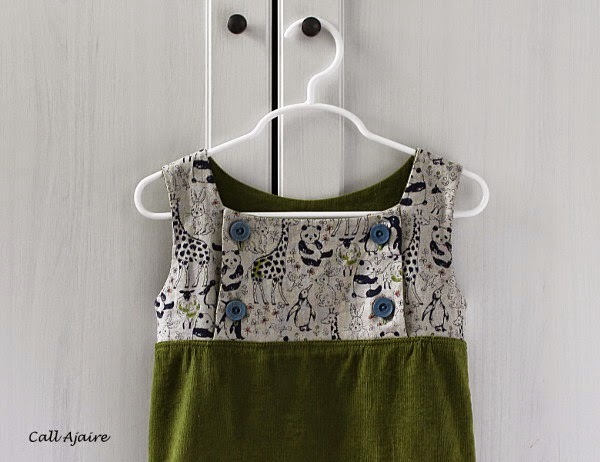 The majority of her tutorials are for woven fabrics, but recently there have been a lot more knit fabrics in the mix so no matter which you prefer I know you’ll find a dress just perfect for those fabrics you’ve been saving for a special project. 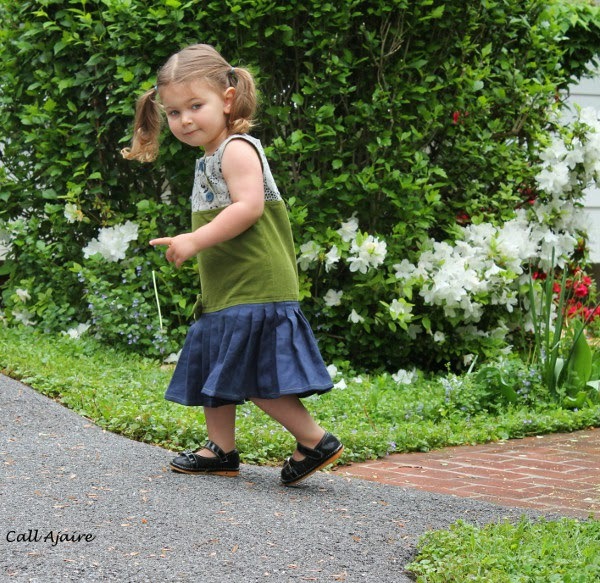 The Junebug pattern is for sizes 18Months to 8Years, has an optional short sleeve, and either tunic or dress lengths. As with all her tutorials, the step by step photos are detailed and the instructions are clearly written so sewing the dress is a breeze. My first Junebug was a remix back when Bean was a baby and I know this MashUp Junebug won’t be my last. After last month’s more complicated MashUp, let’s return to yet another MashUp that is super easy. I love these easy MashUps because you instantly get more options for some of your favorite patterns once you Mash them and who doesn’t love options? I chose the sleeveless Junebug bodice option so Bean would be comfortable in it during the nearly unbearable Maryland summer heat and the 3T size is a perfect fit. I sewed the bodice together exactly as the pattern directs and even if you made the super cute sleeved version you would do the same. 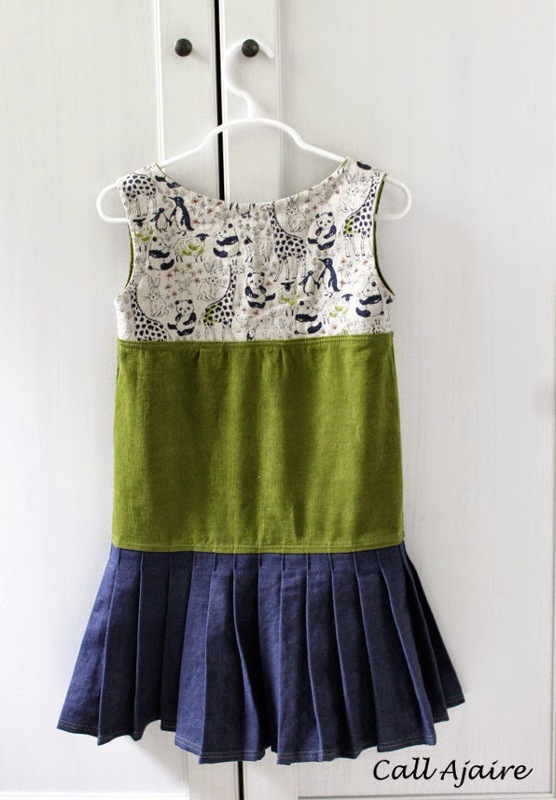 You can forgo cutting the skirt portion of the pattern and just stick to the bodice pieces. The animal fabric has been in my stash along with the green stretch corduroy and I love how they look together. Of course Bean loves the pandas, but the other animals are cute too. I adore those Betty Skirt pleats so I opted for the small pleated version. For the MashUp, just cut out the skirt and yoke pieces according to the size chart in the pattern. Again, I followed the instructions exactly for the lower skirt portion of the pattern in the 3T size through making the pleats. To join the skirt to the bodice, I took the yoke from the Betty skirt pattern and instead of folding it over, I sewed one edge to the skirt and then slightly gathered the other edge to match the bodice and sewed it to the bodice. Don’t forget to finish those two edges and you’re done! Super simple right? I added a bow to the yoke because it seemed like something Jess would do, but I think the placket version of the skirt would be adorable using matching buttons to the bodice flap. Now, are you ready for the giveaway? 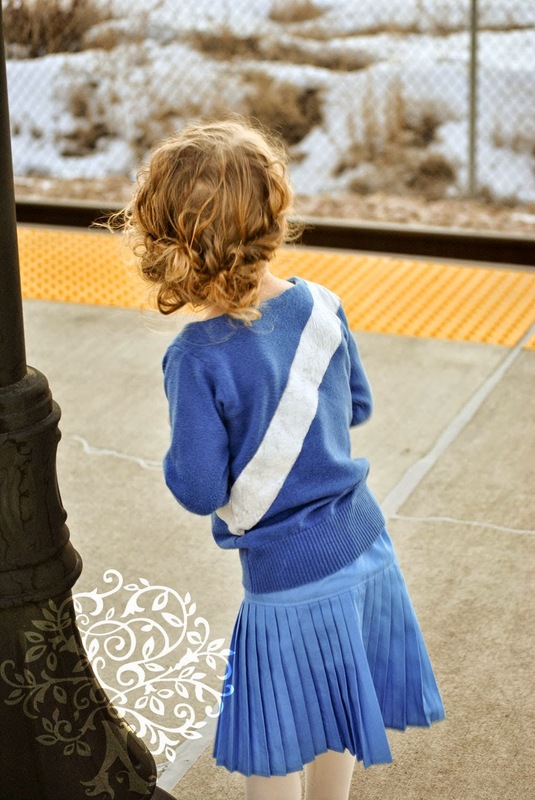 Of course if you’re going to be making your own MashUp, you’ll need the Junebug Dress and Betty Skirt patterns which CINO and the Shaffer Sisters have generously offered to giveaway to the winner! Just follow the instructions in the rafflecopter below to enter the giveaway. Want to MashUp your own, but don’t want to wait until the giveaway is over? 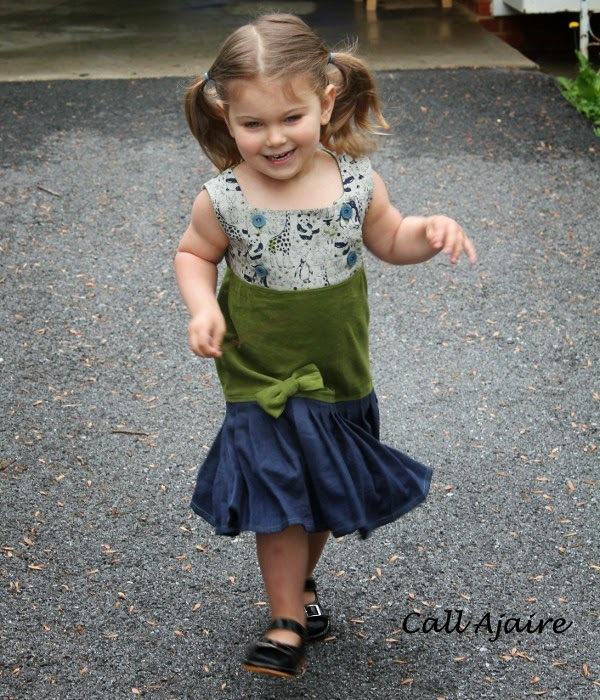 You can purchase the Junebug Dress pattern here and the Betty Skirt e-book here. Be sure to follow the Monthly MashUp Pinterest board if you’d like some more inspiration on garments to mash. And remember, if you do a MashUp I’d love it if you would share it in the Call Ajaire Monthly MashUp Flickr group! There are a few great ones out there in the group already and I’ll feature a few with the giveaway winner announcement next week. **the patterns for the giveaway have been generously donated, but all opinions are mine and I purchased my own patterns or put in the work as a tester before contacting the designers for this giveaway. This is so incredibly adorable and that fabric, I just love it! I prefer link ups to flickr. I prefer linkups, and it think you'll get more traffic too. But I hear they are tons of work. At least it would only be once a month..? I love your mash! The Betty skirt is awesome. I think it's even lucky…I won the kids choice random pick with it! 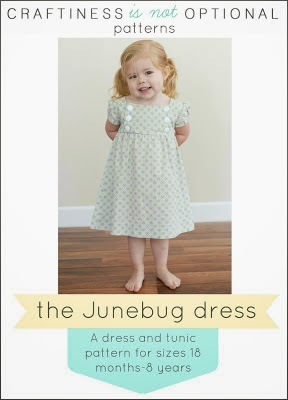 And the Junebug dress is soooo sweet. I would've never thought to put them together. 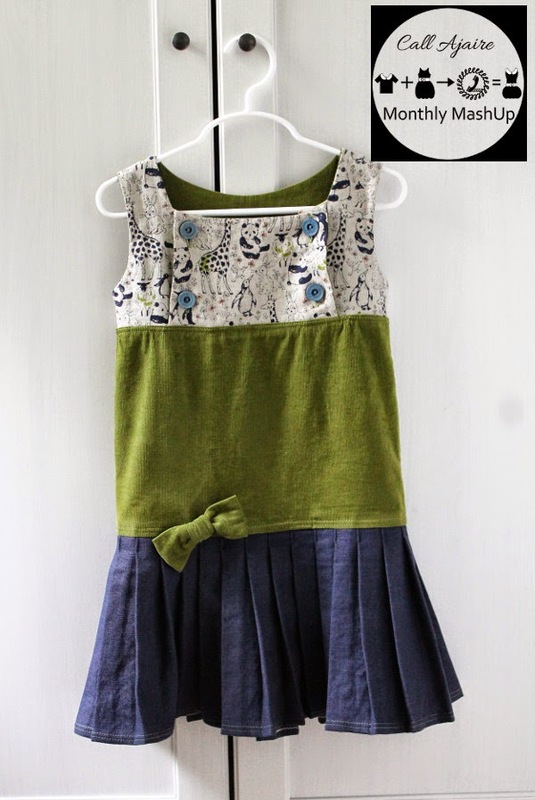 Very cute dress for Bean! I think linking up is better. I would definitely prefer linking more. This is such a great mash up.